It seems like a mortal sin not to mention Breakthrough when talking about restaurants in Iloilo. Located along Villa Beach, where locals go to eat, rather than swim, going here is a no-brainer. Breakthrough serves local dishes such as aligue (crab fat), sizzling crabmeat, lechon (roasted suckling pig), and grilled seafood. Enjoy all this with fresh buko (young coconut) juice or a mango ’shake. With a loyal fan base among locals, this restaurant has humble beginnings—its owner used to be a fisherman. He and his wife started the restaurant with only three tables. Today they have two branches—in Villa District and near the airport. This story is reflected in their simple approach to cooking, choosing only the freshest ingredients and sticking to basic seasonings such as salt, spices and garlic. Tatoy’s specialties include litson manok (roasted native-breed chicken), steamed shrimp, baked scallops, and baked oysters. When it comes to buffets, there is only one place to go—The Promenade at Days Hotel Iloilo. The highlight of its buffet spread is the salad bar with organic vegetables sourced from a nearby organic farm. If you have a sweet tooth, this is the place to go. They even have gluten-free, and lactose-free treats on their dessert table. Located at the 4th floor of Atrium Mall, this restaurant offers unobstructed views of downtown Iloilo. The most peaceful breakfast spot in Iloilo is without doubt, Mrs. Wharton. Located in Southpoint, the dining strip of a major mall in the city, Mrs. Wharton is blessed with a direct view of Southpoint’s fountain. The restaurant has high ceilings with exposed pipes and London scenes painted on its walls, which accentuate the shabby-chic furniture pieces. Mrs. Wharton is the only place in the city to enjoy British puddings and afternoon tea with scones. Pinkies up! The brainchild of a brother and sister team, Punot: Flavors of Modern Iloilo enjoys the relaxing ambiance of the Iloilo Esplanade. The menu is a modern take on well-loved dishes and classic recipes using local ingredients. Try their version of seafood paella negra, stuffed crispy pata hamonada (ham hock), sizzling indong (eel) and their famous seafood fiesta. Painted across on one of its walls is the quote “Brunch is always a good idea”. The restaurant got its name from the last two syllables of the owner’s surname. 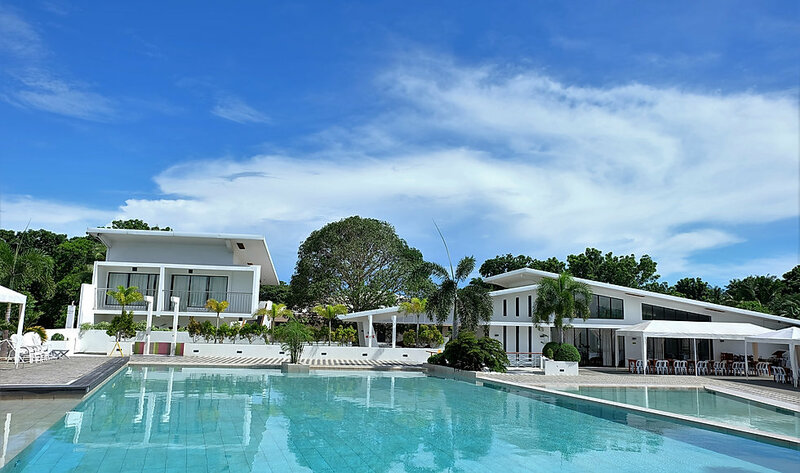 Located in Iloilo Business Park, DoVa’s interior is modern, sleek and very Instagrammable. This café goes beyond sausages, bacon, and waffles, with other offerings including pasta, overloaded fries, back ribs, salads, and meatloaf on the menu. DoVa’s next door neighbor, Farm to Table serves modern takes on well-loved Filipino and Ilonggo dishes using locally sourced and organic ingredients. This is the place if you want a more upscale, chic dining experience that won’t hurt your pocket. Try their soft-shell crabs, ‘nose to tail’ kare-kare (beef and tripe stew with peanut sauce and shrimp paste), and Ilonggo specialties such as ‘kadyos, baboy, langka’, served alongside wine and craft beer. There is always one dish you have to try before leaving a certain destination. In the case of Iloilo, it will be batchoy, a noodle soup with pork, pork innards, and liver, topped with crushed chicharon (pork cracklings) and chopped scallions. This dish is said to have originated in one of the local markets of Iloilo. The best place for visitors to enjoy this dish without going to the market is Netong’s, located at Atria Park District. If you’re looking for vegetarian meals or need to go light after some heavy meals, Asian Spoon is one of the few restaurants in the city serving regional dishes from other southeast Asian countries. Located at Atria Park District, dine guiltlessly on goi cuon, pad Thai, and satay. 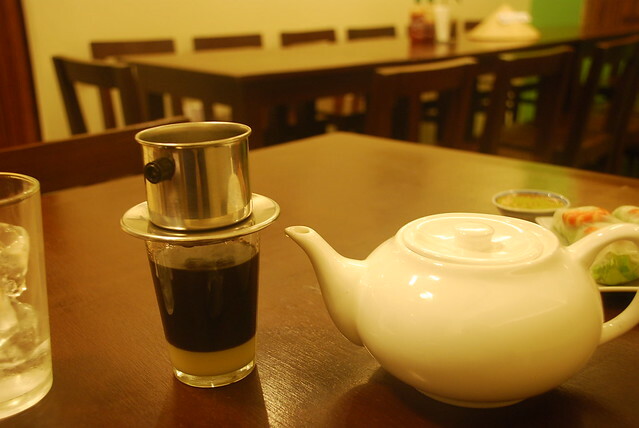 Enjoy chai tea or their very own Vietnamese-style drip coffee, ca phe. Depending on availability, Asian Spoon also serves steamed lobsters. Dine al fresco along the banks of Iloilo River with gourmet sausages and a cold bottle of San Mig Light beer. The word, muelle means ‘dock’ in Spanish, which suits its location in what was an international port during the Spanish era. A romantic restaurant, lovers in the city may not be too happy for everyone to discover this spot. You can opt to enjoy the river views or retreat to the main restaurant as you devour cheese and a cold cuts platter, BBQ ribs, and pasta. Try the orange carpaccio for dessert.